Radio station announced in late December 1934 that it was going to broadcast a new show every Monday night from 10:15pm to 11:15pm beginning on January 7, 1935. 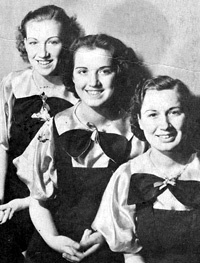 A news story indicated that the show would be "...a fast moving broadcast with orchestras, soloists, duets, quartets and almost any combination suitable to barn dance entertainment." One of the early acts on this show was Frankie King and the King's Jesters. 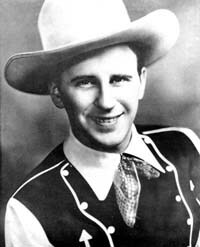 He later went on to perform as Pee Wee King and is in the Country Music Hall of Fame. 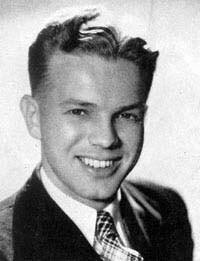 The Wisconsin State Journal indicated the show was on Saturday night on April 10, 1937. Another act that got her start on the show was known to fans as Louisville Lou. Her real name was Louise Rautenberg. But the folks at the WLS National Barn Dance had heard her and wanted her talents on their show. 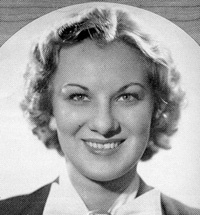 Uncle Ezra (Pat Barrett) introduced her to WLS listeners with the name she would become known for - Sally Foster - on Monday, November 17, 1935. WLS also took another of the shows performers - Art Wenzel, an accordion player.